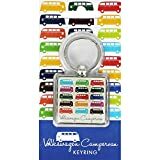 Volkswagen Camper Van Metal 3D Keyring A deluxe metal VW camper van keyring from Volkswagen. 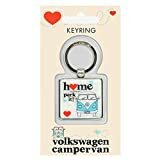 High quality engineered metal camper van and VW logo charm plus standard metal key ring The perfect accessory for the keys to your VW Camper. 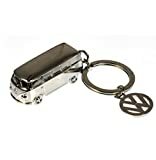 Officially licensed by Volkswagen.